Montreal's Lysanne Richard opened this year’s cliff diving World Series on Saturday with a third-place finish on the Philippines’ Palawan Island. Montreal's Lysanne Richard opened this year's cliff diving World Series on Saturday with a third-place finish on the Philippines' Palawan Island. Reigning three-time series champion Rhiannan Iffland of Australia won the women's competition, followed by Yana Nestsiarava of Belarus. The women, who jump from 21 metres (63 feet), must nominate one different dive before each of the four rounds with the different levels of difficulty based on a combination of multiple twists and somersaults. Richard, a former Cirque du Soleil performer, placed third in the overall standings last year with 690 points, 140 behind Iffland. ''I'm very pleased to have a successful start to the season,'' said Richard. 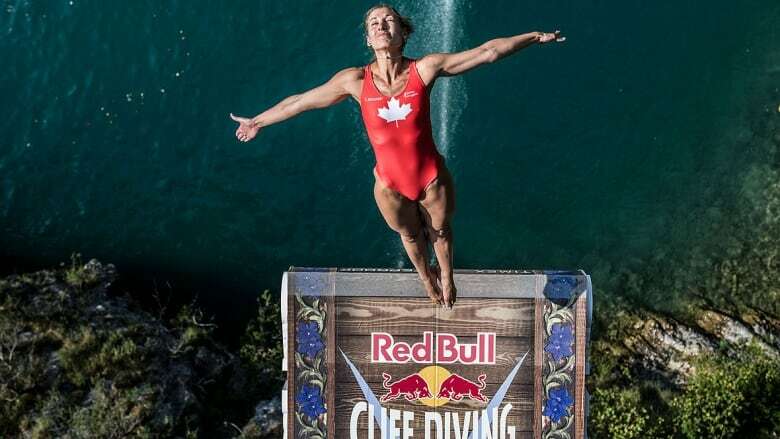 In November, Iffland won the FINA high diving World Cup title in Abu Dhabi with 322.95 points, defeating the 37-year-old Richard, who qualified for this summer's world championships in Gwangju, South Korea. A mother of three, Richard posted her third career victory last August at a World Series stop in Sisikon, Switzerland. The 2016 FINA World Cup champion missed the entire 2017 season due to a neck injury.